Grooved finish surface, a touch of elegance. 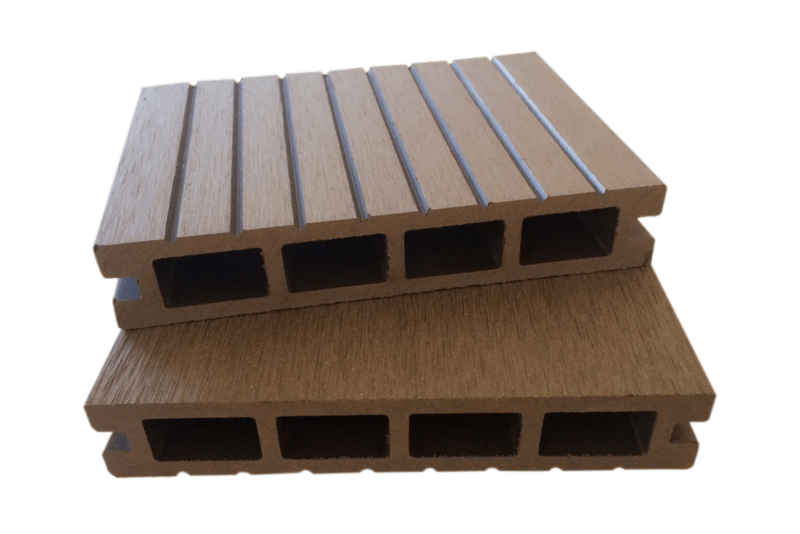 Hollow WPC Decking . Wide striped side and flat side. Sanded finish surface treatment anti-slippery. NeoMeck is an outdoor WPC decking which boards dimensions are: 2,2 m length, 14 cm width and 2,5 cm thickness. It is available in 2 colours: Coffee and Sand.